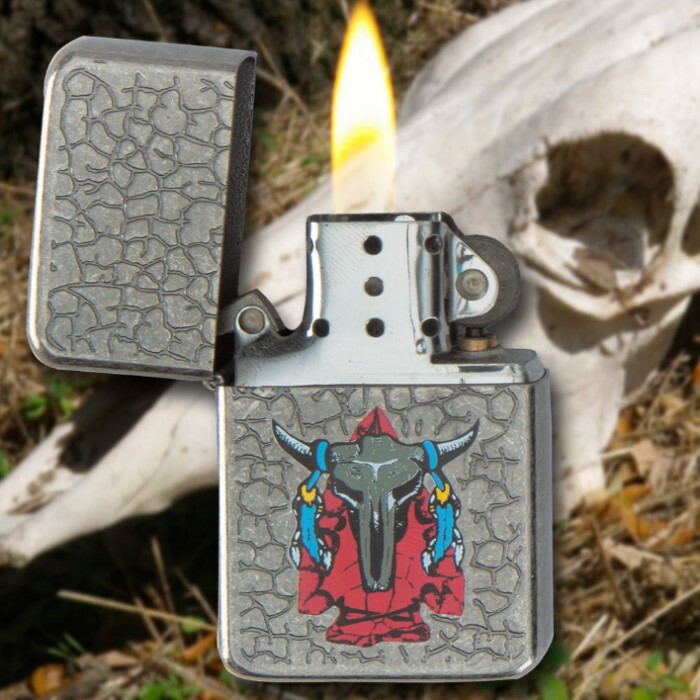 Sitting Bull Windproof Lighter | BUDK.com - Knives & Swords At The Lowest Prices! 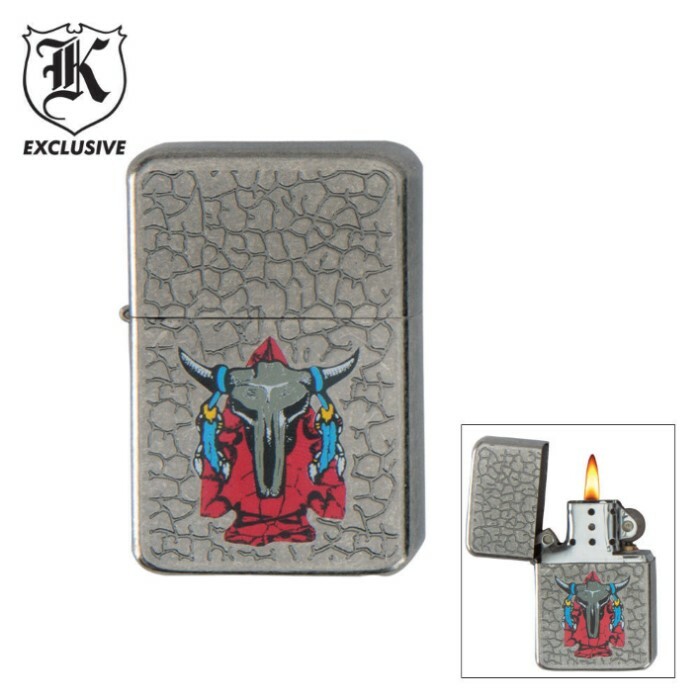 This exclusive design windproof lighter is the perfect accessory item for you! This lighter features full-color arrowhead and bull skull artwork .